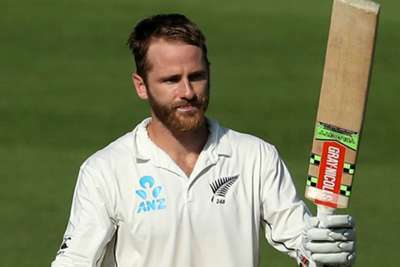 Kane Williamson and Henry Nicholls combined to give New Zealand a surely pivotal 198-run lead over Pakistan after Yasir Shah's record-breaking turn on the fourth day of the third Test. The Black Caps began the day on 26-2, trailing Pakistan by 48 runs, but they came through an action-packed first session on Thursday to close on 272-4 and keep their hopes of a series win alive in the decisive final match. History was made in a frantic morning as Yasir (2-107) brought up his 200th Test wicket in record time - 33 matches - bowling to William Somerville, seemingly leaving New Zealand deep in trouble. But Pakistan's progress slowed with a spate of frustrating reviews and Williamson (139 not out) and Nicholls (90 no) battled through to lunch before kicking on in Abu Dhabi. Even with that sublime unbeaten partnership of 212, there remains plenty of work for New Zealand to do to win on the final day, as all 10 Pakistan wickets must fall, but what appeared a probable defeat now looks to have been averted. Yasir Shah becomes the fastest to 200 Test wickets. He traps nightwatchman Somerville in front and reaches the landmark in just his 33rd Test! Yasir made his breakthrough early as he removed Somerville (4) lbw, reaching the landmark double-century of Test wickets in three matches fewer than previous record-holder Clarrie Grimmett. And even the arrival of the destructive Ross Taylor (22) could not initially wrestle back control from Pakistan as the big-hitting batsman fell into a trap set by Shaheen Afridi, picking out Bilal Asif at deep square leg. That brought Williamson and Nicholls together and New Zealand belatedly showed some resilience. Nicholls clung to his wicket in spectacular fashion, surviving one review as he appeared to have edged behind, dodging another that would have seen him out lbw to Yasir and then using one of his own to escape once more. That nervy start gave way to some more assured batting and the tone was set for the rest of the day. Pakistan struggled to get to grips with an effective partnership and Williamson drove a pair of fours off Hasan Ali to bring up his century. A brilliant 19th Test century for Kane Williamson. A couple of tough Yasir drops ensured the Black Caps had complete control by tea, although some smart fielding subsequently kept the scoring down for a time before a new ball became available. However, Sarfraz Ahmed bizarrely opted not to take the ball and instead watched his bowlers spend the last hour toiling in front of the determined batsmen. 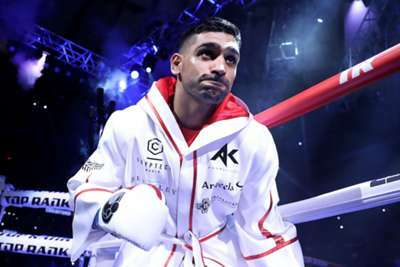 British welterweight Amir Khan believes the big fights are still out there for him despite his latest defeat against Terence Crawford.